Was your dog disturbed? Was it lonely? Was it playing? 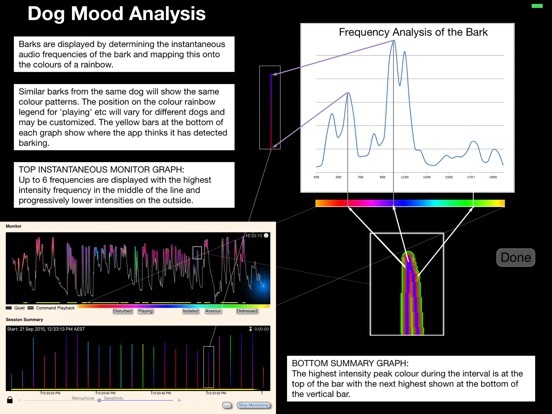 See why your dog is barking with colour analysis graphs which show the dog’s mood from the sounds in the bark. 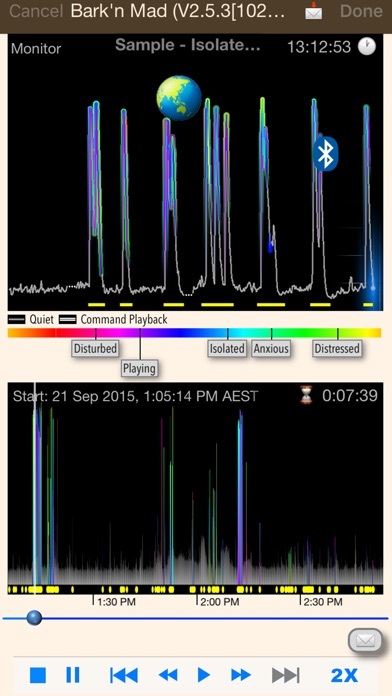 ・ Access session recordings from your computer. 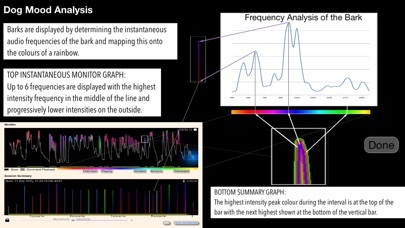 ・ Capture and email monitoring and playback summary graphs as required. 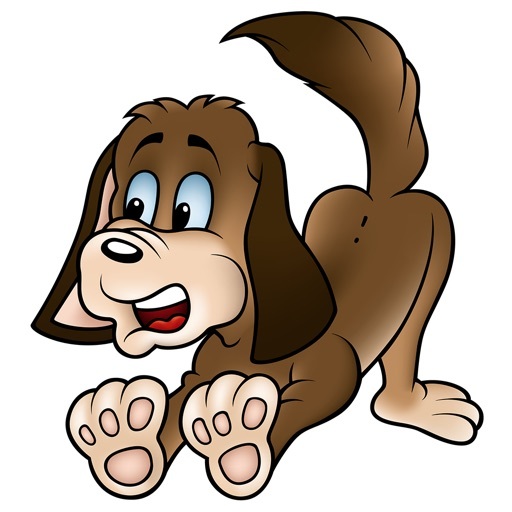 Where barking complaints have occurred we recommend that both parties to the complaint (the neighbour and the owner) run Bark’n Mad to record barking and work together for a solution. Excellent!!! Brilliant!.....highly recommended. 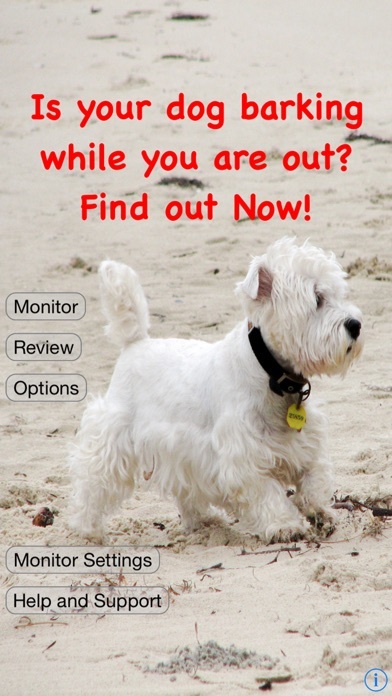 Listen to what your dogs have been up too while your out. Very sensitive microphone. 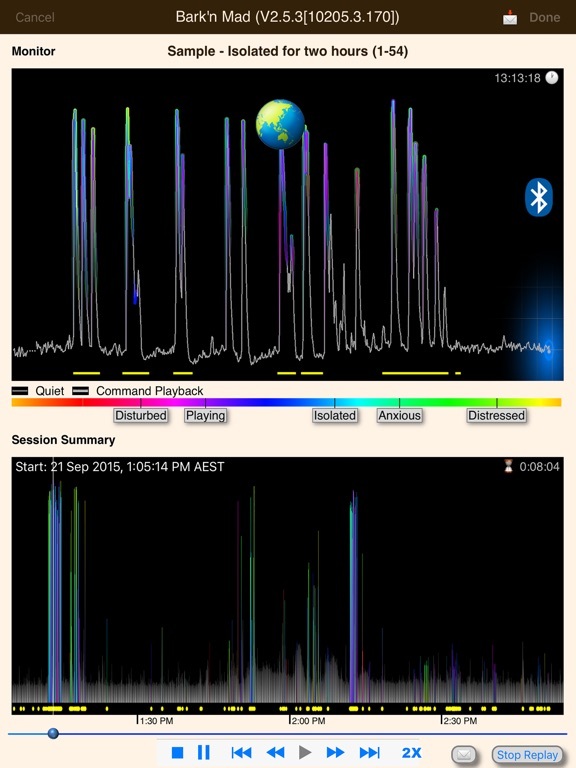 Absolutely genius app. Just what I was looking for to help train my dogs to be quiet while I am out and find out if the neighbours are over exaggerating. Picks up every single noise and very long recording time. Hope more quality apps like this to follow. Great tool. We recently got a rescue dog not used to having his own 'pack' and certainly not to being left alone. We were concerned he might be barking and that this would annoy or worry neighbours. We tried this app for the first time today and it worked perfectly! 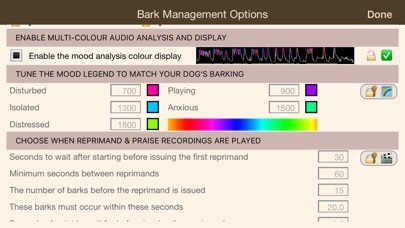 After an hour in, he started whining and barking a little, enough for the '20 second' criteria to be reached and the prerecorded 'quiet' message to be played. To my amazement listening to the recording afterward, he quietened down, was rewarded with the 'praise' I had recorded, and was quiet for the rest of the time we were out! Just amazing. 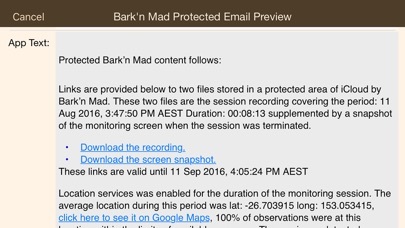 I would like to say, however, that your App completely solved my "barking dog" problem, and in one hit! Our dog is a reasonably well trained golden retriever, but our neighbour informed us in strained tones (so I guess it must have been going on for a while), that whenever we both went out, which was infrequent, the dog barked incessantly until our return. In more desperation than any real hope, I picked up my trusty iPad and googled. Your App came up, so I installed it and tried it. I had noted the "Record reprimand" and "Record praise" bits. I was looking forward to hearing the result. 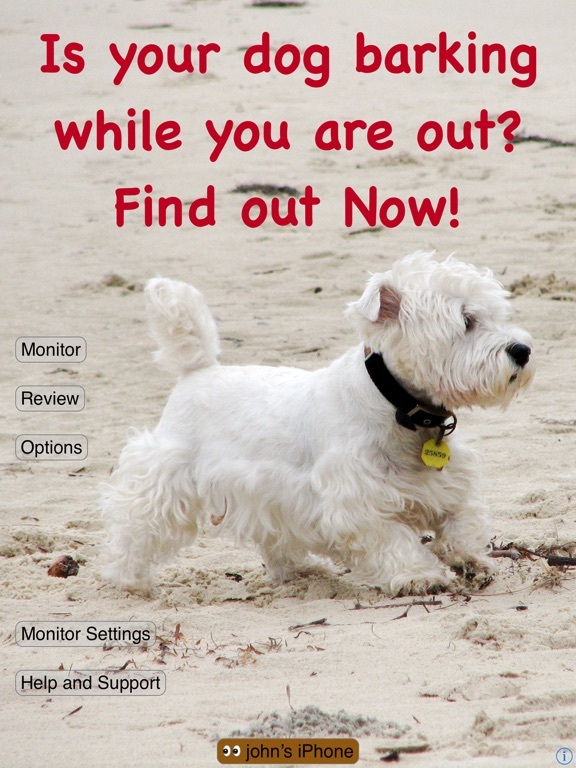 From its first use, the dog, now, never barks when we go out, even if I don't leave the iPad! I think he's still trying to figure out how I knew, and was able to tell him off when he couldn't see me! Congratulations on a fantastic App! 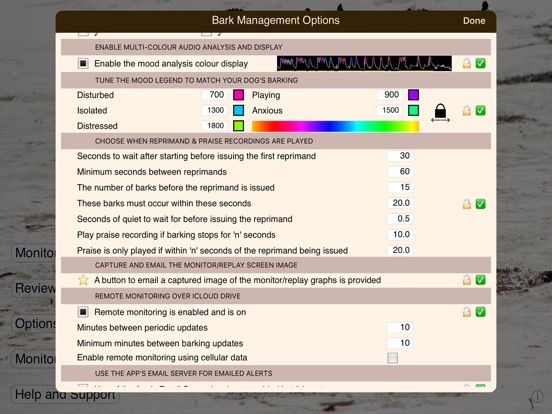 Stability update addressing issues with creating and selecting iCloud recording copies.